Variations of Makoto Suzuki's Capa Chair prototype for AtMa Inc., one of which was showcased at Tokyo Design Week 2016. | © ATMA INC.
Tokyo Design Week (TDW) seemed a little pared down this year, with a notable absence of a handicrafts creators’ fair and only one awards exhibition. Nevertheless, it still offered the familiar lineup of products, interactive installations, architectural models, artworks and robots, as well as a new outdoor “air-tent” display of giant transparent inflatable spheres, many of them comprising collaborations between universities and big-name designers. The Sharaku Exhibition of ukiyo-e inspired art, design and fashion, which even included a stunning toilet decorated with Sharaku’s print of kabuki actor Otani Onji III, was particularly impressive, while the Interactive Architectural Model Exhibition also proved popular, with its extensive collection of models ranging from Kengo Kuma’s new origami-inspired plan for Shinagawa Station to Shimizu Corporation’s whimsical earthquake-resistant Wooden Blocks Tower. 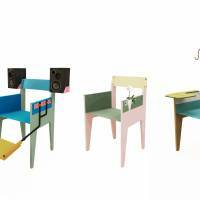 For On: Design, here are three personal favorites from the Professionals section, which included accessories and stationery but predominantly showcased prototype furniture and other interiors. A written description of Makoto Suzuki’s Capa Chair for AtMa Inc. doesn’t do it justice. The one on display at TDW had a cushioned rolled armrest on one side, a magazine rack bolted to the other and an anglepoise lamp that, attached to the rear, leaned over the entire thing. Yet as Frankenstein-esque as that sounds, it worked. 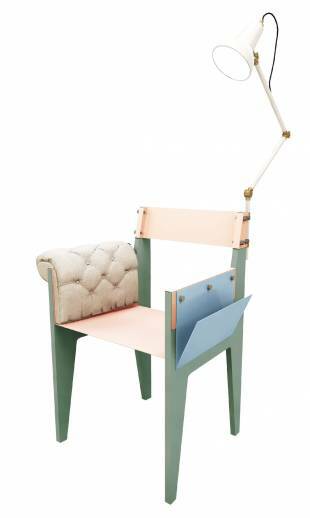 With angular legs, brass fixtures, flat metal seating and all parts in a range of muted pastels, the Capa Chair is a bit like a feminine contemporary version of Bauhaus furniture. What makes it even more attractive, though, is the fact that you can customize it — not only to your color choice but also to your needs. If you don’t want a plush armrest, choose a side table instead, or maybe an anglepoise book stand or a cup holder. 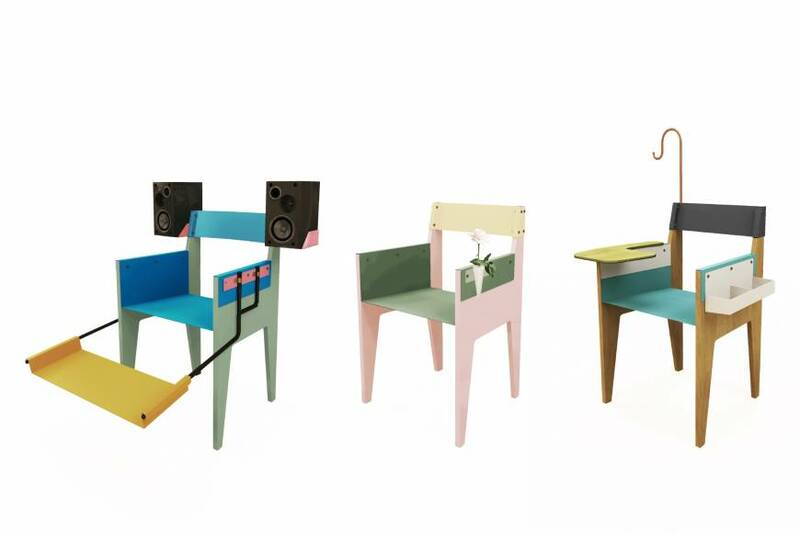 You can create any combination of available parts, which include small trays, a leg rest an even side shelves for speakers. As more modern homes are built without traditional Japanese tatami rooms, paper shoji doors are also becoming less common, which is a shame because they can diffuse daylight to a pleasant soft glow. Inspired by this, Keita Shimizu has taken lighting company Kaneka’s extra-thin OLED panels, which emit a similar glow, to create an unusual lighting fixture. The lamp is made of two sets of nine small OLED panels set within hinoki (Japanese cypress) frames designed to look like shoji. 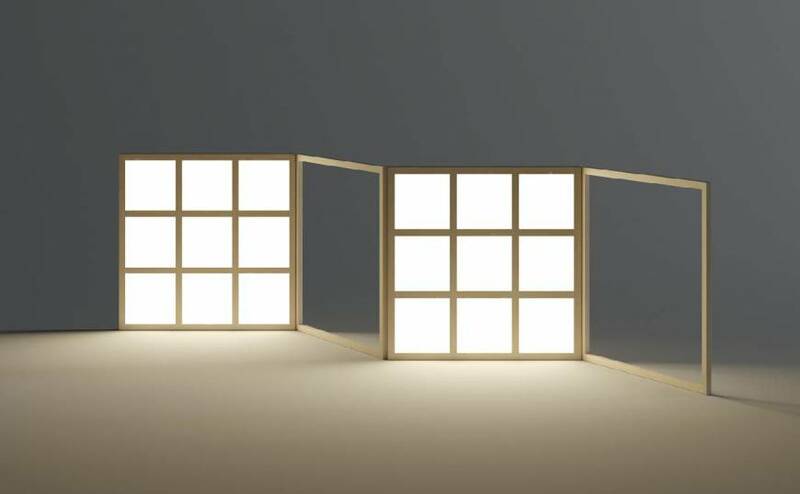 Since the light panels are opaque and just 8 mm thick, it gives the effect of paper, and their frames are separated by two empty ones so that the structure stands like a byobu (folding screen). The whole lamp is also light, so it can be set anywhere in the room, and energy efficient, with panels lasting more than 10 years (if used 10 hours a day). Hisao Shimizu’s Kamakura Terrace range of solid wood products have, up to now, had a very gentle aesthetic of rounded corners and flower or cloud motifs made from, mostly, pale honey-colored woods. In comparison, this new 3 Legged Low Table is quite a departure. That’s not to say it’s aggressive-looking, but it definitely harbors a tougher, arthropodan vibe. 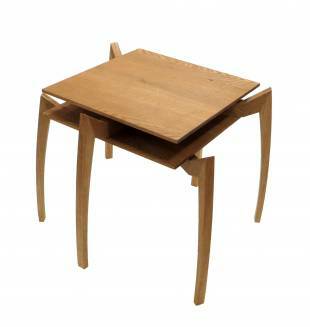 The table’s legs extend up and out from the edge of the tabletop into sharp corners that then taper down to the floor. 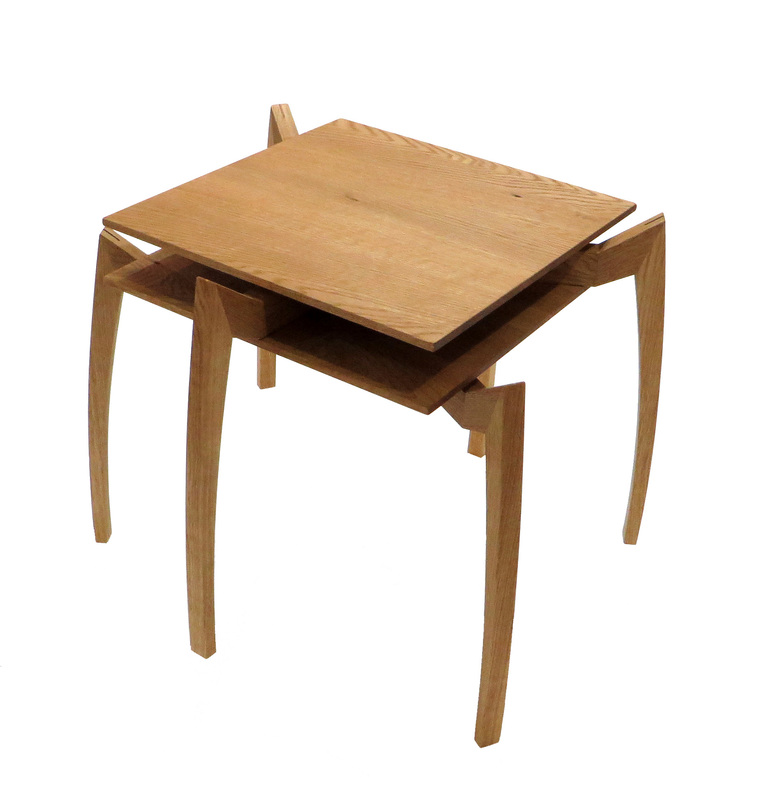 With the slightly arched legs, it looks like an abstract insect (especially if you put two tables side-by-side), but Shimizu stops it from being creepy by keeping the lines clean and the corners sharp, and giving it a natural finish. The series includes square-topped (¥38,880 each, ¥ 64,800 for a pair) and round-topped (¥49,680) tables, both of which are stackable (as pictured) and available in various types of wood. To order, contact Kamakura Terrace via the website.